Welcome to The MPVHub Free Tips ebook series! 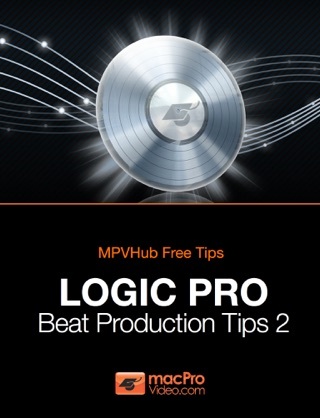 In this ebook from macProVideo.com we share tips on creating beats and drums in Apple’s flagship DAW, Logic Pro. 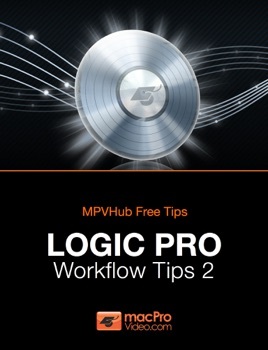 We’ve carefully selected these five articles for this Logic Pro themed ebook straight from our premium resource for software tips n’ tricks on the net: The MPVHub. Each chapter is a self-contained, step-by-step article designed to enable you to add new and novel workflow techniques to your productions. You’ll find tips to help you master the Marquee and Scissor tools, work with automation creatively, edit audio non-destructively in the Sample Editor, and speed through those mundane tasks with some choice key commands. At macProVideo.com we’re interested in finding new ways to help you learn software and creative techniques. Look out for the MPVHub Expert Guides ebooks for even more detailed A-Z, project-based, guides!